Heavy Duty Cleaner does not leave a strong solvent odor and is not harmful to surfaces being cleaned. Heavy Duty Cleaner can be diluted up to 40 to 1 with water depending on the job. Heavy Duty Cleaner can be applied with a brush, mop, or spray, and is ideal for use in high pressure or steam cleaning equipment. 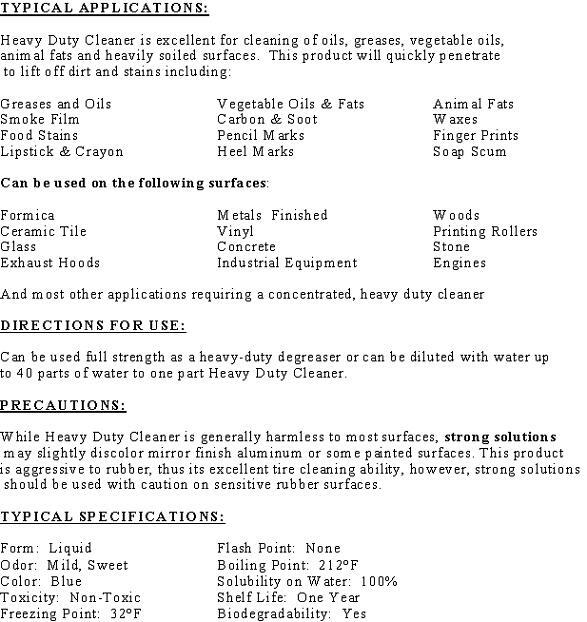 Heavy Duty Cleaner is excellent for cleaning of oils, greases, vegetable oils, animal fats and heavily soiled surfaces. Heavy Duty Cleaner will quickly penetrate to lift off dirt and stains. 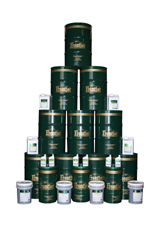 Heavy Duty Cleaner is formulated using a unique blend of detergents, emulsifiers, wetting agents and penetrants. Heavy Duty Cleaner also contains a corrosion inhibitor to provide safe cleaning on metal surfaces and can be sprayed on and wiped off without rinsing.